Countable offers easy-to-use methods you can use in your project. 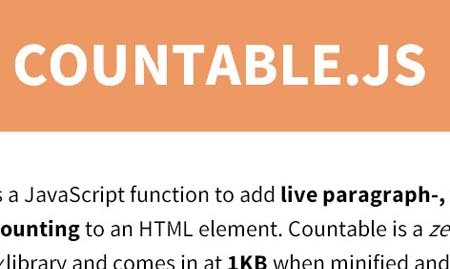 Countable.live() and Countable.once() accept one or more HTML elements and a callback that receives one parameter — holding all counted values — and this bound to the relevant element. 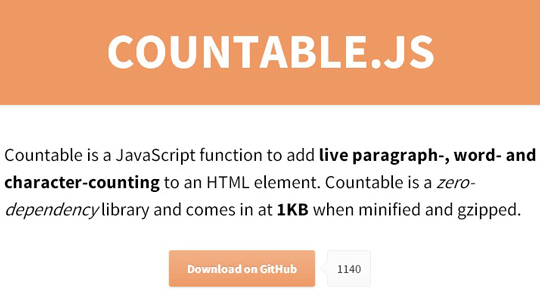 To enable full live-counting on an element, call Countable.live().